Whilst originally formed as a solo project by Hugin, it is unrealistic to actually pinpoint the exact date that BLODARV came into being. 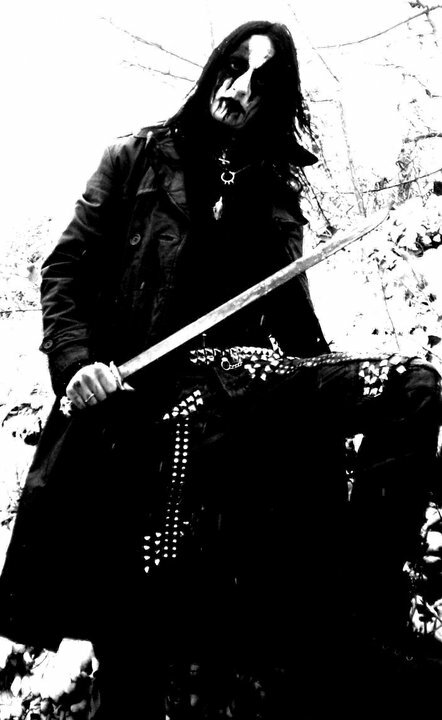 1999 may be the date when the very first demo, “Murder in the Name of Satan”, appeared, but it would be more accurate to say that this was the culmination of a period of musical development that Hugin underwent whilst playing in bands such as SKJOLD, ARANTRUTH and ESSOUPI. With the release of “Murder in the Name of Satan” the foundations of BLODARV were firmly laid down in terms of sound and concept. Unafraid to mix classical, industrial and ambient elements into the essentially Black Metal music of BLODARV, Hugin demonstrated that he was prepared to use sometimes surprising features in order to create the sound that he wanted for the band, a sound that would be evocative of the visions that are given a voice through his poetic and lyrical creations. It was during this period, 2002 to be precise, that Hugin took his one-man project and started to turn it into a fully fledged band. With Hugin on vocals and the addition of Huul (ex TAAGEFOLKET) on bass and Isaz (FEIKN, DENIAL OF GOD) on female vocals, and with a session guitarist and drummer, BLODARV became a live band. The session musicians were eventually replaced by permanent members Pest (ex EXCIDIUM & DARK INTENSIONS) on guitars and session member Ynleborgaz (ANGANTYR,VARDLOKKUR) on drums, and Satinae Ma was brought in to replace the departing Isaz, and the solid BLODARV live and studio line up of today was completed. A split release is anticipated for late 2010, and Hugin is currently working on new material for BLODARV’s next full-length release. But facts alone can’t possibly describe what BLODARV is all about. BLODARV is the link between the known and the unknown. It is the physical incarnation of Hugin’s imagination. It is his deepest thoughts and emotions brought to life through his music, and through the poetry that becomes the band’s lyrics. Like the storytellers of old he leads the listener through a dark, evil, demonic world, peopled by lost souls, witches and demons. It is a journey that disturbs, and at the same time enriches, those who embark on it.